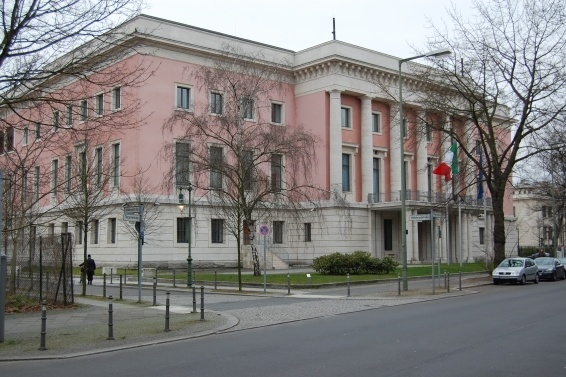 The event was realized in cooperation with the Italian Embassy and the Italian Institute of Culture in Berlin. At the opening on March 1st, the three artists from Rome whose work is on display will be present as well as the Ambassador of Italy to Germany, Pietro Benassi. The aim of the exhibition is to celebrate Goethe, after two hundred years of the publication of the first part of his “Italian Journey”, and for this occasion, the works will be on show first at the Italian Embassy in Berlin and then at the Goethe House in Rome from June 2016, the artists will also speak about this famous text at the opening. Michaela Maria Langenstein is one of such guest artists. 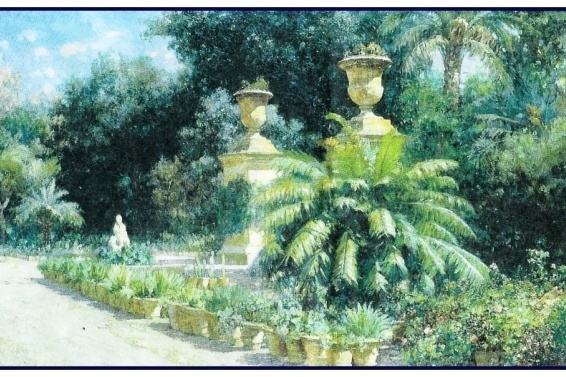 She lives in Italy and she painted numerous portraits of plants, and views of them in different places, including in the botanical garden of Padua where there is the "Goethe palm". Her photos are inspired by Goethe's theory of Urpflanze (Archetypal Plant) and show structures of leaves and plants. During his trip to Italy Goethe hoped to discover Urpflanze, but because he didn’t find it, he began to study the plants structures, expecting to find in them the Archetypal Plant. Elisa Montessori is another of the Italian guest artists who has been influenced intensely by Goethe in the last years, especially by his scientific work. She is fascinated by the versatility of the author and sees in his idea of Urpflanze the need to bring reality to a single principle. In addition to her oil paintings and drawings, the exhibition presents some of her book, in which many illustrations dedicated to Goethe’s Italian Journey and his botanical studies can be found. Regarding the third Italian artist, Claudia Peill, she will show her photos on which she has intervened with paint. For this occasion, the artist, inspired by the “Journey to Italy”, has produced some polyptychs (paintings consisting of more that three leaves or joined by hinges), suggesting the concept of motion. She retraced Goethe’s journey, interpreting it, not as a path towards a concrete destination, but as a complex human and artistic path. The exhibition, curated by Maria Gazzetti, will be presented first at the Italian Embassy in Berlin from 2nd March to 9th May. Following this, it will be moved to the Goethe House in Rome where the exhibition will be open from the 8th of June until the 11th of September 2016.